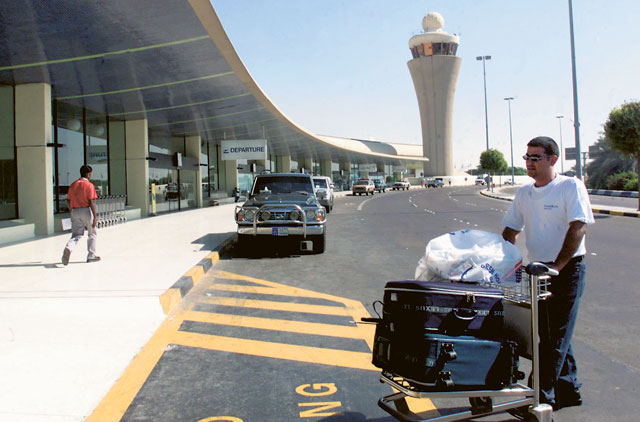 Abu Dhabi: Over 1.5 million passengers flew through Abu Dhabi International Airport in January 2014, marking a 14.5 per cent increase in passenger traffic over the same period last year, Abu Dhabi Airports said in a statement on Tuesday. Aircraft traffic also registered an increase of 7.7 per cent compared to January 2013 to reach a total of 11,972 movements. Meanwhile, 58,114 tonnes of cargo was handled last month, marking an 18.9 per cent hike over the same month last year. “A large part of these passenger number increases is undoubtedly down to the strategy of Etihad [Airways] to increase its strategic partnerships and codeshare arrangements with a host of airlines, which now total 43 across the globe,” David Bentley, Principal at UK-based aviation consultancy, Big Pond Aviation, told Gulf News in an e-mailed statement. He added that Abu Dhabi International Airport has become known as a key global hub for air transport. “Successful hubs always attract new airlines, irrespective of the power of the incumbent national carriers. It happened at Dubai, which has more routes and destinations than most European airports, and it will happen at Abu Dhabi, especially when the Midfield Terminal opens in 2017,” Bentley said. As for the outlook for the rest of the year, Bentley said Abu Dhabi airport should benefit from the rebound in global economies. “The one problem on the horizon is air traffic capacity and how it’s controlled in the Middle East generally, but that is a longer term issue,” he pointed out. The top five routes from Abu Dhabi International Airport during January were Bangkok, Jeddah, Doha, Manila and London Heathrow. John Strickland, Director of UK-based aviation advisory, JLS Consultants, shared a similar opinion, and said such growth in passenger traffic reflects Abu Dhabi’s increasing significance as a hub airport. He said he expected further growth at the airport throughout 2014 as Etihad continues to add to its network. A statement released by the airport body earlier revealed that over 16.5 million passengers flew through it during 2013, marking a 12.4 per cent increase over 2012. The current expansion of the airport is expected to increase its overall capacity to more than 40 million passengers per year.